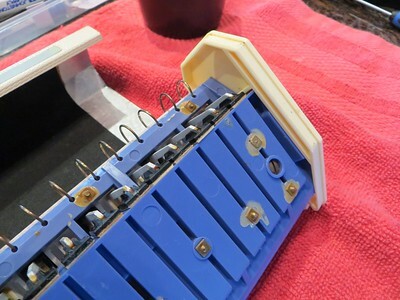 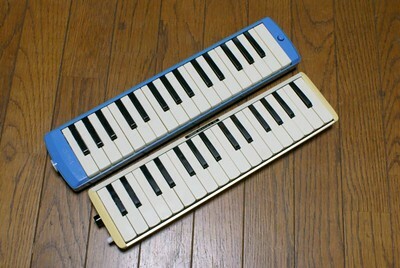 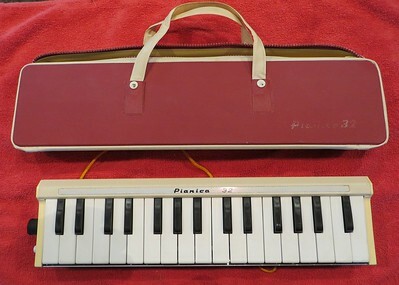 Introduced in 1961 and marketed by both Tokai Gakki and Yamaha, the original Pianica 32 has small keys. 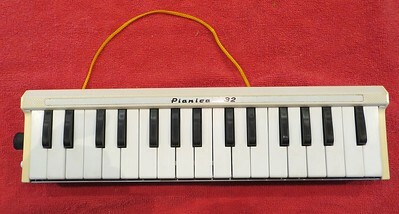 First generation and probably the first Yamaha Pianica. 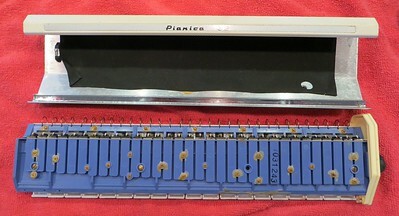 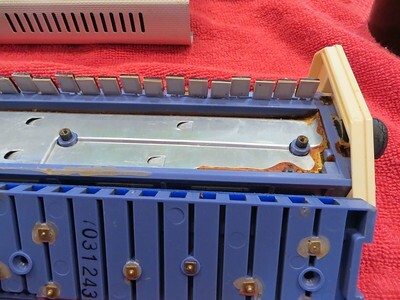 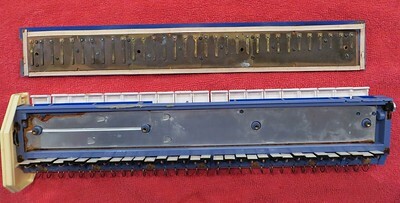 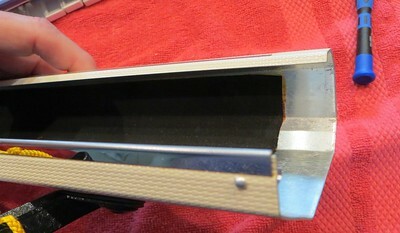 Metal tray and solid, like other early Pianicas. 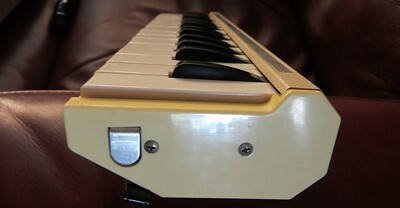 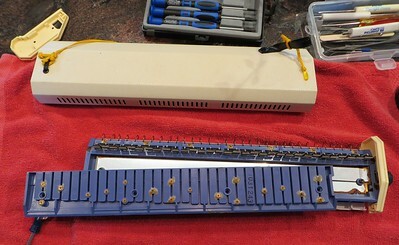 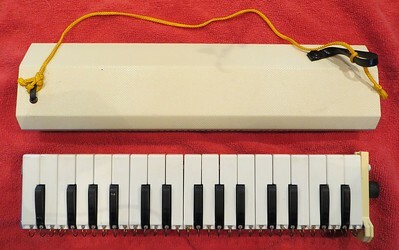 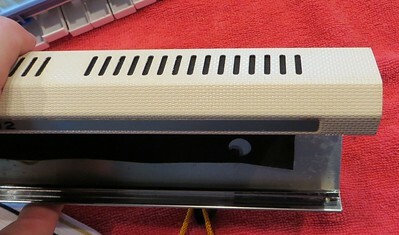 If in good condition, a very playable vintage melodica with a distinctive sound. 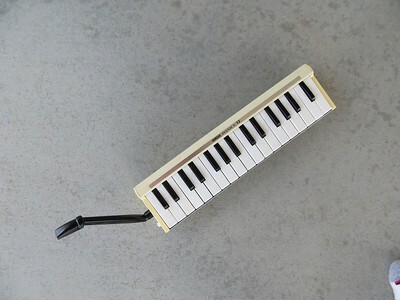 An especially attractive collector's item. 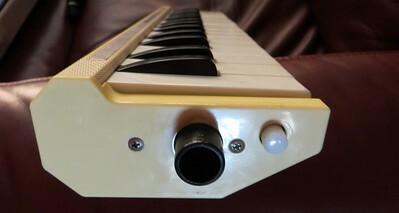 Moderately rare. 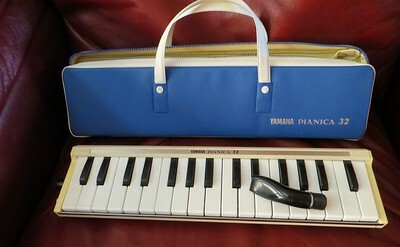 The long mouthpiece from a Hohner Piano 36 fits the original Pianica 32 perfectly, resulting in a very snazzy combo.